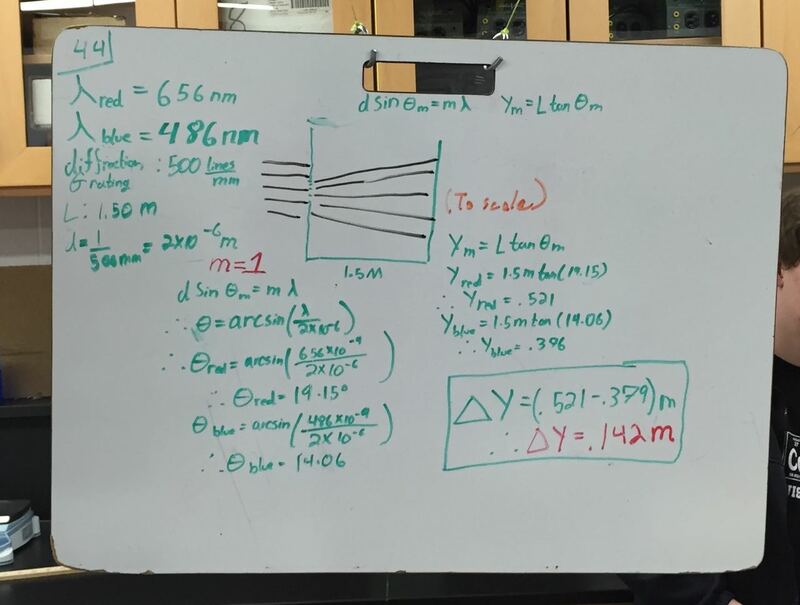 Today students prepared and presented whiteboards of solution to physical optics problems. In the past, I’ve always done geometric optics before physical optics. This year, I swapped the order to better align to the text. I was concerned that the students would find physical optics too abstract without some experience with geometric optics, but they seem to be doing just fine. This groups’ whiteboard was clearly presented. I like how they claim their diagram is to scale!